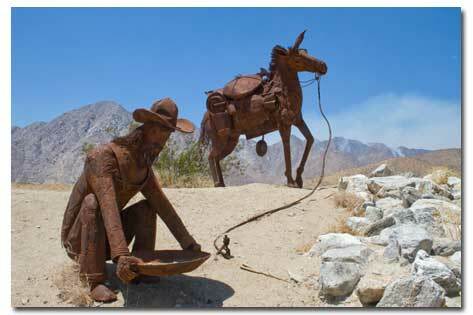 Tales of lost gold mines and hidden gold still lure treasure seekers to the desert. Many believe it’s easier to find an old treasure or mine that’s been lost than to discover a new one. We have many tools today that the old prospectors couldn’t have dreamed of; computers have opened up completely new ways to research locations of lost mines and treasure. Each day more and more information is being digitized and made available to the public. Bing, Google, FlashEarth and NASA have online maps and photos. Historical documents can be found online, along with many old desert related magazines that have been indexed for easy reference. Topographical maps are also available for free download. There are even forums that cover lost treasures and mines. This gives the average person the tools to do important research before ever planning a trip into the desert. If you’re a regular traveler to the desert or even if you just go there once in a while, you should know the stories of the lost treasure and gold in the areas you visit. Without knowing the history of an area, you might walk or ride by critical landmarks to a lost treasure or the treasure itself, and that could cost you. Take the many off roaders that ride at Ocotillo Wells State Vehicular Recreation Area; do they know the Pegleg Smith story? If you’re hiking the Superstition Mountains, you may have heard of the Lost Dutchman mine, but do you know about the Peralta family mines or the Peralta Stones? Do these lost mines exist, and are the legends of the lost treasures true? We at DesertUSA believe that many are real, and can be, and are found, with the proper research. Years ago a man claimed to have found some of Pegleg Smith’s legendary gold, and gave several nuggets to the old Desert Magazine which were on display at their bookstore for many years. 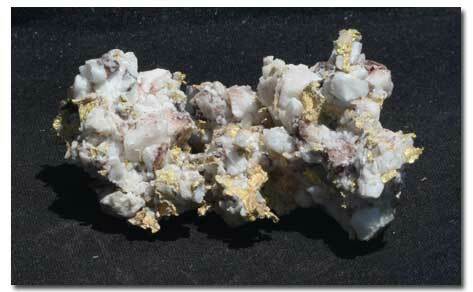 Several others have also found black nuggets in the Anza Borrego area. Though the ABSD park is off-limits for collecting or metal detector use, most of the BLM land in the area is open for searching. To help you get started on your journey, DesertUSA will share with you some of the legends and tales about lost mines and how they were once discovered, and then lost again. Some of the stories have many versions, each containing a few pertinent facts that differ from each other. Critical details such as descriptive landmarks, dates, and certain historical information, sometimes vary from one account to another. Those who truly believe in a particular legend spend the greater portion of their lives collecting data and facts about the lost treasure or mine they seek. Building files, they assemble details, the bits and pieces of a legend. As time passes, the facts become lost in history, but as more and more documents become digitized, new clues become available. With forums devoted to particular lost treasures, one person’s search can be expanded by input from others. The views of others can often open new avenues of search or new perspectives on old clues. If you'd like information on legendary lost treasures, try exploring our Gold Prospecting and Treasure Hunting forum. Membership is free.